THIS IS A PROFESSIONAL CUT STRIPPER DECK EDITION! PROFESSIONAL MAGICIAN RYAN PLUNKETT CUT THESE FOR US AND THEY ARE BETTER THAN THE BICYCLE BRAND VERSION! 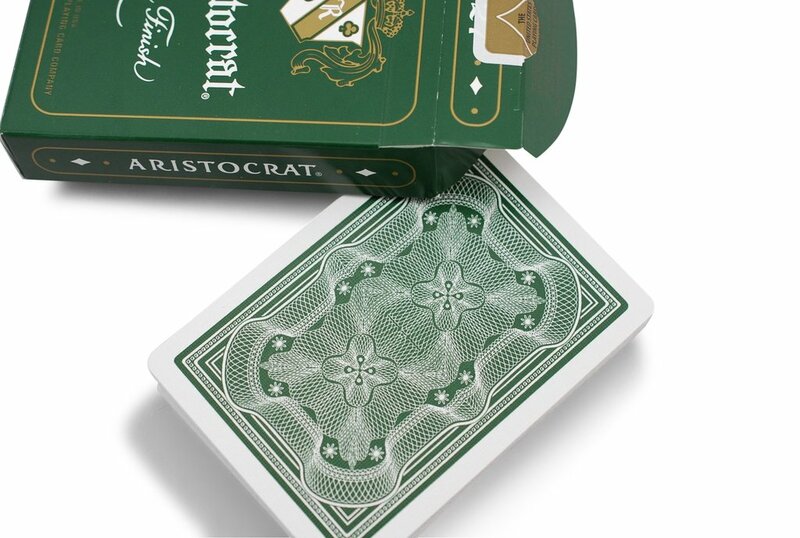 In collaboration with The Art of Play (Dan and Dave Buck) in Los Angeles we are excited to offer an all new colorway of the intricate Aristocrat® banknote playing cards, previously only available in red and blue. These faces are just like the original Aristocrats! 52 cards with 2 matching Jokers and 2 add cards! These are LIMITED EDITION V1 Decks! Don't miss out - get them now! !